On the river in the beautiful town of Redstone. Enjoy an exceptional visit with personal attention. Relax in the crisp alpine air on the Crystal River, watch hummingbirds and smell our wildflowers. Our kitchenettes are fully equipped, impeccably clean, with full baths and TVs. No smoking, no pets. 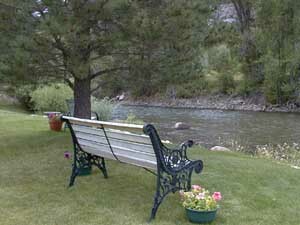 Nestled beside the Crystal River, just west of Aspen, Crystal Valley Manor offers Rocky Mountain views, clean, comfortable rooms, relaxing verandas, and Crystal River literally in our backyard. Please join us. 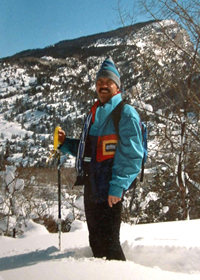 Six major ski areas within a 1 hour drive. 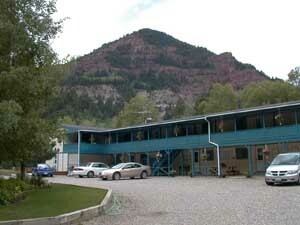 Fourteen rooms with kitchenettes, patio seating with terrific mountain view, and a beautiful lawn right on the river. Activities in Redstone - There's something for everyone and all age groups for summer and winter. Activities Nearby - From Aspen to Glenwood Springs to Marble, there's so much to do while you're here. Inquiries - Come say "hello", give us your comments, or ask about reservations. Visa, MasterCard and Discover are accepted for your convenience. 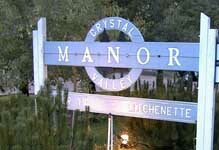 © Copyright 2001 Crystal Valley Manor. All rights reserved.